Just over the mountains, many areas of California have been inundated with heavy rainfall and some flooding in recent months. Homeowners in those areas are facing flooding they never thought would happen! Here in Las Vegas, while we haven’t seen the rain California has, there are so many other causes of water damage in local homes. And in some cases, that damage might be coming from an unexpected source. Let’s take a look at seven sneaky ways water could be doing damage to your home. 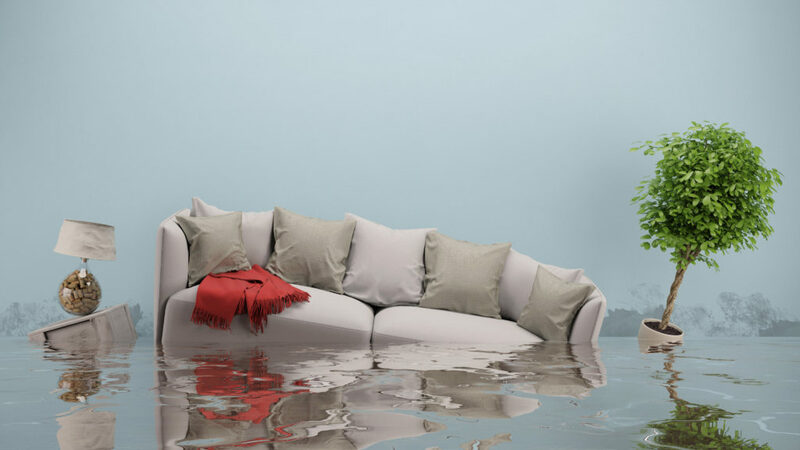 This is the most common cause of water damage and can happen anywhere to anyone. In colder climates, homeowners experience burst pipes after they freeze. In Vegas, that’s not a problem, however, pipes can still be put under unnecessary pressure when a drain or toilet line gets backed up, causing it to leak or even burst. Tree roots are also common causes of burst pipes when the root decides a pipe is in the way and grows into the line in the yard. Plus, the older the pipes, the more prone they are to leaking and malfunctioning. Yes, this somewhat harkens back to the note above, but it detecting plumbing problems before they happen can be difficult as most pipes are hidden in walls and ceilings. From time to time, take a quick glance under sinks to make sure everything is fully attached. If you see what appears to be a damp spot on a wall or ceiling, don’t hesitate to ask a professional company like ERX to come in and take a look at the area. Special tools help our crews detect if water is present in a hidden area, without having to put a hole in your wall. Washing machines, water heaters, dishwashers, washing machines, and other appliances with water lines running to them are notorious for causing water damage surprises. Hoses and pipes can weaken and crack over time and water heaters can rust through, just to offer a few examples. A cracked water heater can easily flood several hundred square feet of living space, depending on the size of the water heater. Any time there is standing water in your home, whether on a solid surface or carpet, it is critical it gets dried quickly to prevent further damage to your home! These are all places that are less frequented by homeowners. They also tend to house a lot of the infrastructure of homes – including the pipes. Water could seep through a crack in your basement foundation and into your home and go unnoticed for some time depending on where that leak happens. Up in the attic, airflow and leakage into the area between your home and attic could trap moisture beneath your roof, causing water damage – and mold and rotting. The main take-home lesson here is to just keep a close eye on your home. Do periodic checks of your basement, crawl space and attic for any potential issues. Check under sinks once in a while to make sure pipes are tight, and water isn’t leaking. Keep an eye on the age of your appliances, and replace any hoses that appear to be weakening. And, if you do experience a water damage problem, ERX is here to get you dried out and back to normal in no time.